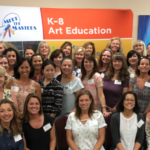 Meet the Masters works with Charter Schools. To get pricing for your school, click here . Meet the Masters works with Private Schools. Click here to get pricing for your school. Overview and pricing of Meet the Masters: View the PDF . Here is a short PPT presentation and video: View Presentation . Ready to order? Have more questions? Contact us today . We are PUMPED to have you join our email list. We look forward to sending you monthly tips and special offers!